By Robert Archer · November 1, 2017 • The newly announced Kin series of architectural speakers from Totem Acoustic include the IC81, IC61, IC82, IC62 and the dual-tweeter stereo IC62ST single enclosure loudspeaker. By Jason Knott · August 5, 2016 • SCP purchases architectural loudspeaker manufacturer Current Audio, which will maintain its brand name. Principals Sean McDermott and Ron Maurer will continue to oversee sales. Products will be shipped and administered via SCP's headquarters in Florida. By Robert Archer · May 11, 2015 • The Toronto-based company Paradigm says its new CI Home, CI Pro and CI Elite product lines are engineered for better performance and improved aesthetics over the previous generation of solutions. By Arlen Schweiger · July 11, 2014 • Armed with ample bass and musical clarity, the Visual Performance Series offers simple installation, adjustable drivers, round-to-square grille adapter and a range of performance levels to give flexible options to customers requesting architectural speakers. By CE Pro Editors · January 15, 2013 • - On display at Wisdom Audio’s Hall 5 exhibit will be the award-winning Sage Series, Wisdom Series, and Insight Series. - Wisdom Audio will also be partnering with digital audio processor manufacturer Datasat to deliver an active home theater demonstration in. 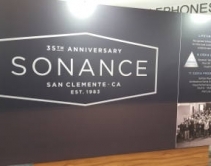 . .
By Robert Archer · July 23, 2012 • Sonance says its new Invisible Series loudspeakers set a new level of performance and they provide more installation options to electronics professionals. Announcing the World’s Thinnest Architectural Speaker! By CE Pro Editors · July 13, 2012 • And at 2.375 inches, it’s best feature may actually be its sound.